Wilmington, Delaware 20th May, 2009 – WhiteSmoke announces the immediate availability of an upgrade to its desktop English writing software. 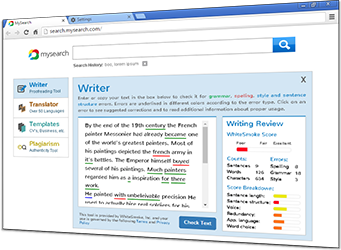 WhiteSmoke 2009 is the leading software solution for the correction and enhancement of English grammar, spelling, and writing style. The latest upgrade follows the announcement of new server-side features last month, and completes a substantial upgrade cycle for WhiteSmoke 2009. New features include the much requested preservation of text formatting when checking texts in MS Word and MS Outlook, and bi-directionality in the multi-lingual dictionary. A wealth of other optimizations to the functionality and user experience of the product are also included in this upgrade. This upgrade also includes new bi-directional language functionality in the multi-lingual dictionary. Previously, translations could only be made from English to a target language. Now, word translations can be made from any supported language to English as well. “The bi-directional dictionary improves the usability of WhiteSmoke 2009 for many of our users who speak English as a second or even third language,” reveals Amit Greener, VP of Marketing at WhiteSmoke. A wealth of smaller enhancements and optimizations have made it into this upgrade. These include improvements to the text editing screen in WhiteSmoke itself, improved graphics and functionality in the Notifier, and further tweaks to the graphical interface to improve workflow and ease-of-use for users. 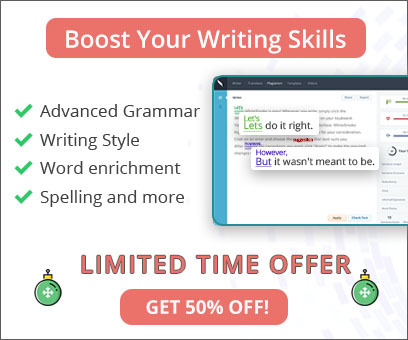 WhiteSmoke is a world-leading company in the field of English writing technologies, with a focus on products that enhance and check grammar, spelling, and writing style. WhiteSmoke makes its technologies available through various channels apart from its desktop application, such as a browser-based text editor, and specialized OEM versions designed for integration with 3rd party service providers.